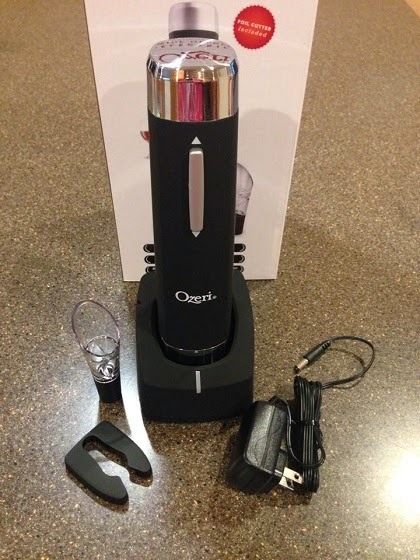 Today's review is about Ozeri OW05A Prestige Electric Wine Bottle Opener with Aerating Pourer and Foil Cutter. I really like the look of this electric wine opener; the design looks very modern and the color is so cool. It's also so simple and very easy to use. The wine opener comes with a foil cutter so, you don't have to struggle anymore when you remove the foil before opening the bottle. You simply have to place it on top and let it do its job of cutting the foil. Opening the wine bottle is also a cinch. 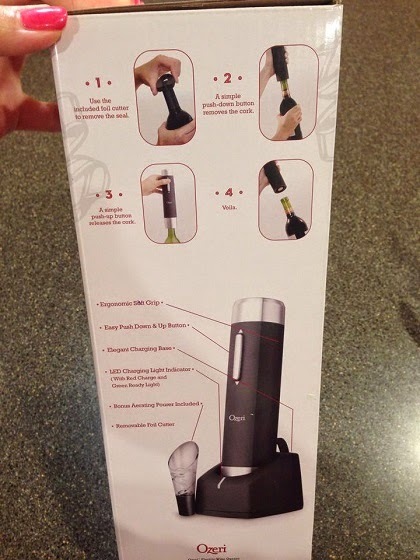 With a simple push on the button, it will remove the cork in seconds. 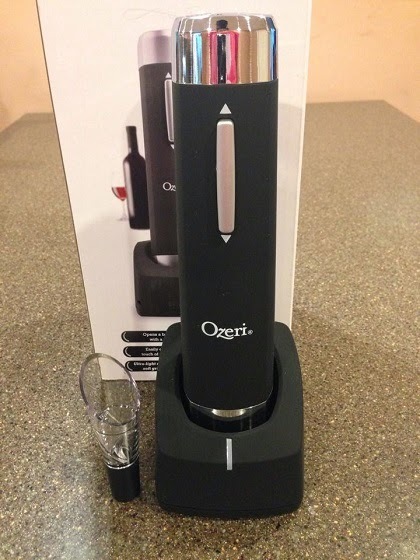 It' always my husband who opens the wine at home because I simply cannot do it, but with the Ozeri Prestige, I can easily open a bottle of wine. The wine opener looks sleek and easy to use. It opens wine bottles in seconds and a single charging can open up to 80 bottles. It's light and easy to carry around and it comes with an aerator for easy pouring. Though it opens bottles perfectly, it is quite tough to get the screw to enter the center of the cork. If you are going to use the cork again to cover the unfinished bottle, it's going to be difficult. This may not be a problem if you will not use the cork again or if you are using a reusable vacuum stopper. 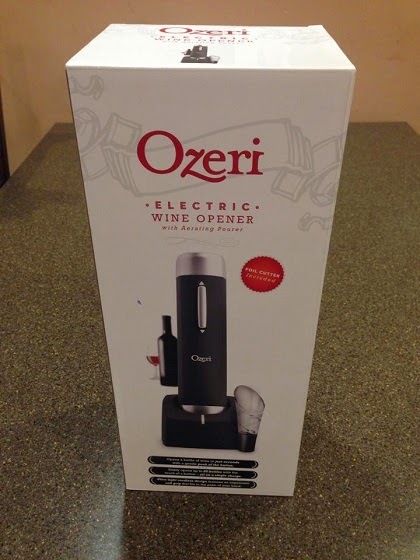 Overall, I had a great experience with the Ozeri OW05A Prestige Electric Wine Bottle Opener. Although this was sent to me for free in exchange of my honest opinion, I will not hesitate to purchase it to replace my manual wine opener. The cool tool can be purchased on Amazon. For more information about the product, please visit the Ozeri website. 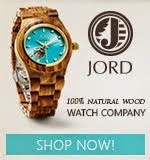 You may also like them on Facebook for updates. Disclosure: Product/s mentioned above were sent to me for free by Ozeri for evaluation purposes. All opinions expressed here are 100% my own. All photos used in the review were taken by myself or family. Do keep in mind that what works for me may not work for you. However, I only recommend products or services I use personally and believe will be good for my readers.